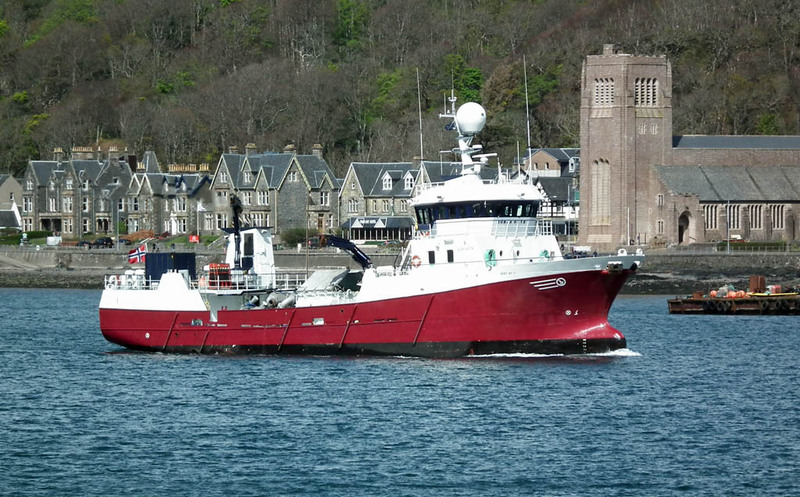 North West Marine's workboat Headcorn going to moorings in Oban Bay, with diving support vessel Kylebhan moving in to berth alongside the North Pier 24 April 2012. 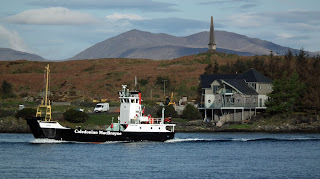 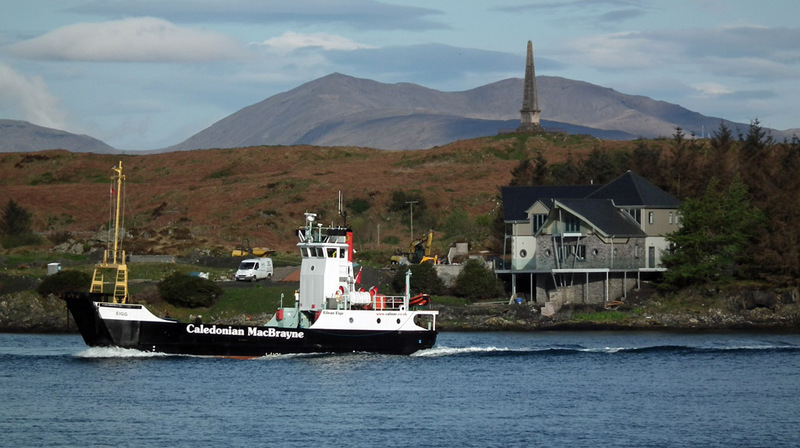 Caledonian Macbrayne's Lismore ferry Eigg passes Hutcheson's Monument (and the new luxury villa on Rubh A Chruidh) 24 April 2012. 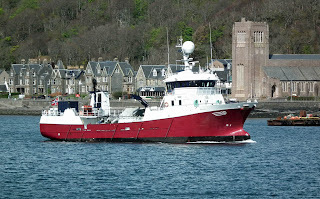 Live fish carrier Ronja Skye in Oban Bay 24 April 2012.